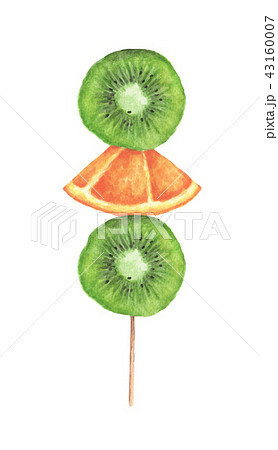 Slices of orange and kiwi on a wooden stick. isolated on white background. Watercolor illustration.